Origin Horseradish is originated in Southeastern Europe and Western Asia. 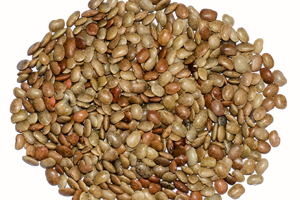 It is cultivated widely in Europe, North America and hilly regions of India. Armoracia rusticana is also known from other names such as Pepperrot, Red cole, Mountain radish, Great raifort and Horseradish. 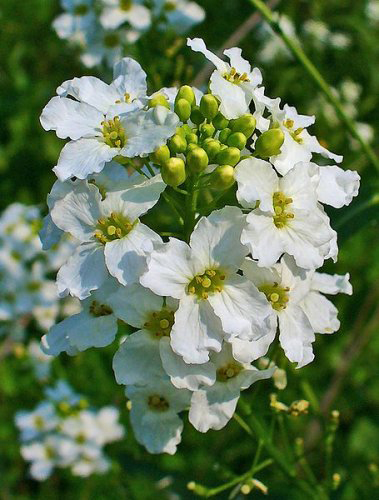 It is a perennial plant belonging to Brassicaceae family that also includes wasabi, mustard, cabbage and broccoli. Native to Southeastern Europe and Western Asia, it is well known all over the world. 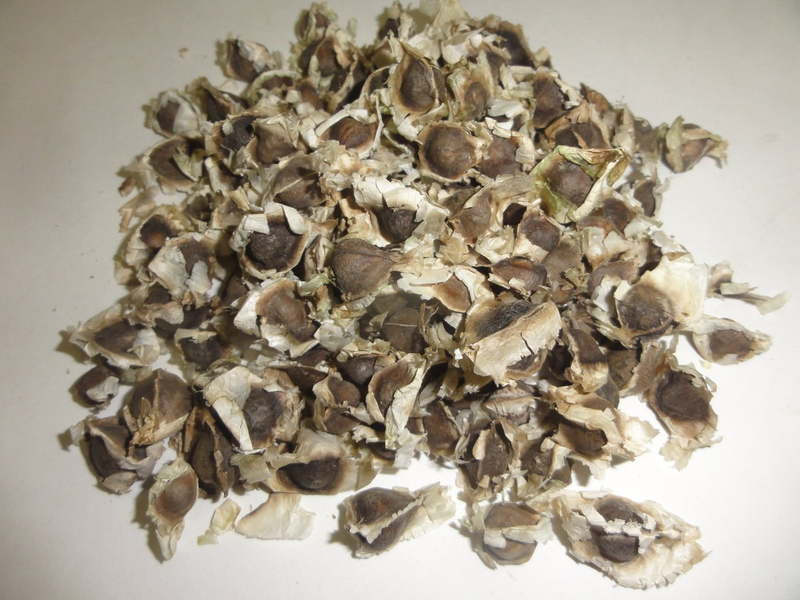 It is widely cultivated for its white, large and tapered root. The roots provide irritating, strong and intensely pungent taste. Lower leaves are oblong, toothed, heart shaped measuring 10 to 30 centimeters long. An upper leaves are lance shaped, alternate and toothed. Flowers are white, pinkish or purple measuring 6 to 8 millimeters and appear in branched clusters. The fruit is two chambered pod in egg shaped measuring 0.3 inches long on short stalk and slightly round in cross section. The uses are similar to mustard and wasabi due to thick and white root which is sliced. The breakdown of those plant cells release enzymes which break down sinigrin present in root. It releases mustard oil that is irritating and pungent chemicals which affects sinuses and eyes of those who smells it. Due to this it is widely used for spicy burst flavor in various dishes and used as condiment in steak. The importance of root has been known for thousands of years and now it is widely available across the world. Besides its culinary uses, it is also used for medicinal purposes. Horseradish consists of two glucosinolates such as gluconasturtiin and sinigrin which are responsible for pungent taste. It contains calcium, potassium, phosphorus and magnesium as well as volatile oils such as mustard oil that possess antibacterial properties. Possibly Horseradish is inherent to temperate Eastern Europe. Since antiquity, Horseradish has been cultivated. The Greek mythology admitted that Delphic Oracle told Apollo that Horseradish was worth its weight in gold. In 1500 B.C. Horseradish was known in Egypt. Pietro Andrea Mattioli, an early Renaissance herbalists showed it under Raphanus. Heinrich Bernhard Ruppius applied modern Linnaean genus Aromoracia in his Flora Jenensis, 1745. Linnaeus named it Coclearia armoracia. During Middle Ages, leaves and roots were used as medicine. Roots are also used as a condiment for meats in Scandinavia, Germany and Britain. During European colonialization, it was introduced to North America. Thomas Jefferson and George Washington mentioned horseradish in garden accounts. 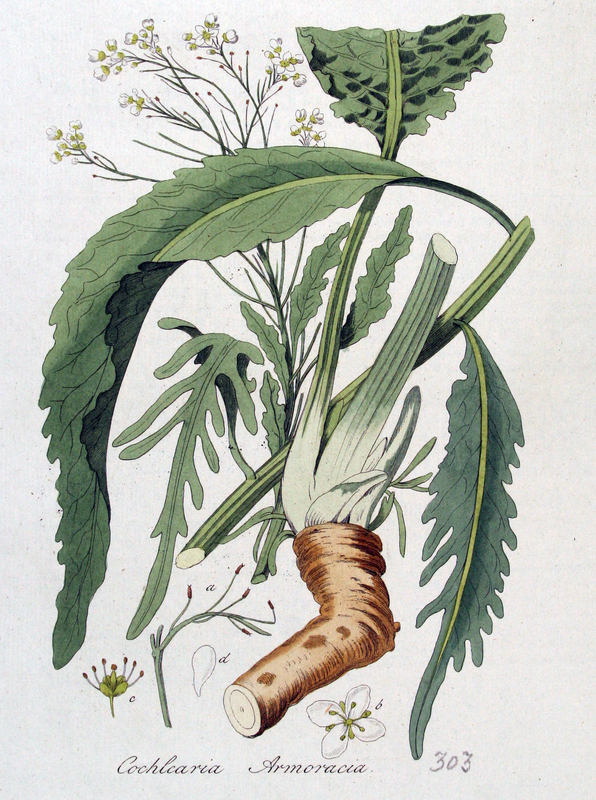 Horseradish was mentioned by William Turner in his “Herbal” as Red Cole not as condiment. John Gerard described under the name of raphanus rusticanus in Generall Hitorie of Plantes or Herball which stated that it occurs wild in several parts of England. The term Horseradish is indicated in English from 1590s which combines the word horse and radish. This plant is poisonous to horses despite its name. Flowering stalks measures about 1 1/3 to 4 feet high. 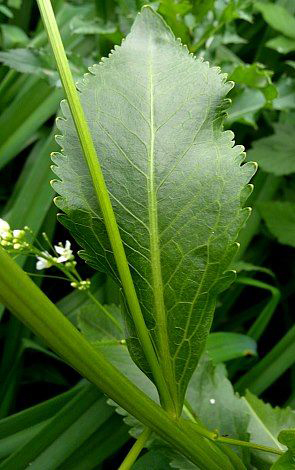 Basal leaves have blades of 1 ½ to 6 inches across and ½ to 2 feet long. Leaves are broadly oblong to elliptic in shape with finely crenate to serrate margins. 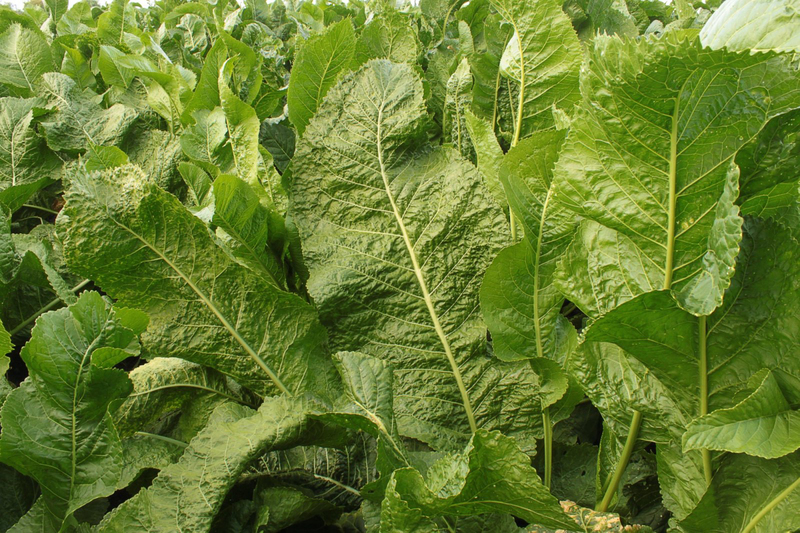 Basal leaves are widely spreading or floppy with undulate up and down margins. 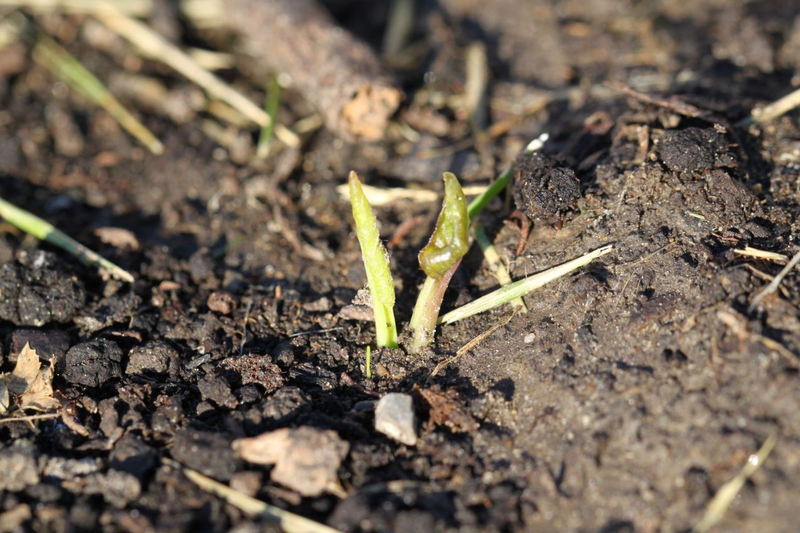 Horseradish stems are glabrous and light to medium green. Alternate leaves have blades of are 1-6 inches long and ¼-2 inches across. Blades are narrowly elliptic to broadly oblong to lanceolate in shape. An upper blade surfaces are glabrous and lower surfaces are glabrous and paler shade of green. An upper axillary stems and central stem bears flowers of 4 to 16 inches long. Flowers form towards the apex of each raceme and seedpods develops below. Flowers are 1/3 inches across which consist of four light green sepals, four white petals, six stamens and a pistil with a short style. Pedicles are ascending, ¼ to ¾ inches long, light green and glabrous. The flower blooms from mid-spring to mid-summer which lasts for about two months. 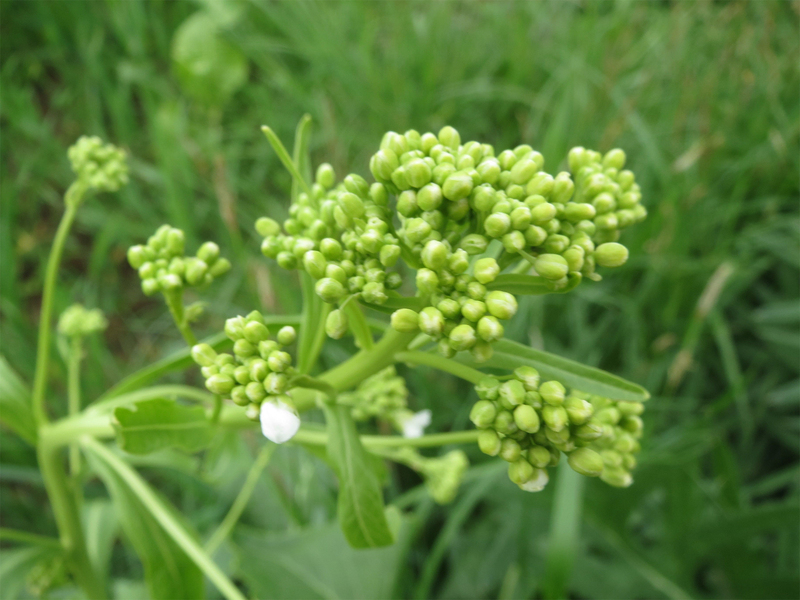 Flowers turn into cylindrical seedpods which are ¼” (6 mm.) long. Each seedpod possesses eight seeds. A root system is comprised of stout rhizomes and stout taproot. Horseradish has glucosinolate compounds which provides spicy flavor and counteract cancer. It contains 10 times more glucosinolates in comparison to broccoli. The studies shows that horseradish makes the body to resist against cancer. Other studies show that horseradish is able to appeal cell death in human breast and colon cancer cells and prevent oxidative damage associated with free radicals. A study shows that preparing and processing root increases anticancer properties. Free radicals damage the body so intake of diet rich in antioxidants assists in elimination of this damage. Root contains phytocompounds which acts as antioxidants and is helpful to maintain overall health. Being antimutagenic, it protects body from mutagens that could damage them. Mutations cause heart disease and degenerative disorders. Extracts of horseradish reduce DNA damage caused by zeocin which is an antibiotic known to lower oxidative stress. Horseradish has allyl isothiocyanate that provides pungent taste. This oil provides antimicrobial properties against various pathogens. 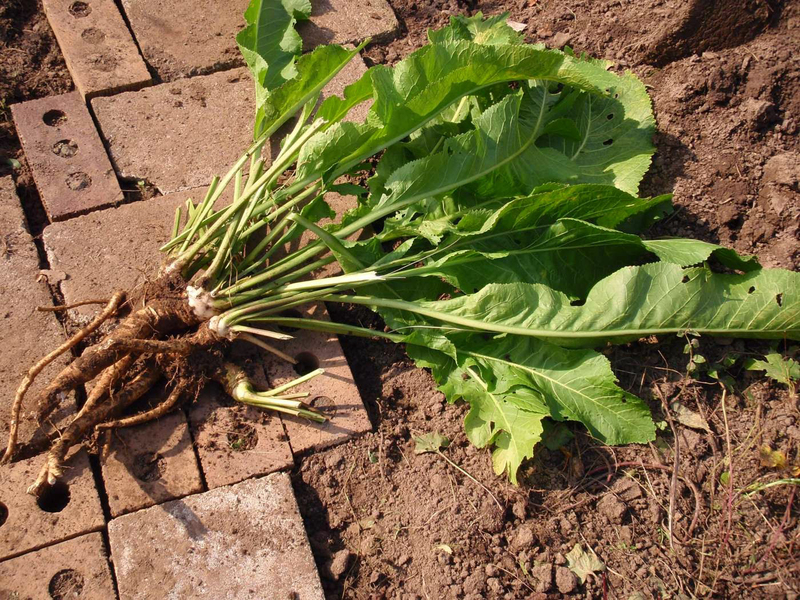 Studies evaluated antibacterial and antimicrobial activities of horseradish root. Study was conducted by using Horseradish essential oil for preserving roast beef and prevents spoilage. Beef with horseradish prevent the growth of bacteria that causes it to spoil. Root provides positive effects of phagocytes which is a type of cell in body that absorbs bacteria. The study conducted in mice resulted that Horseradish promoted antimicrobial activities of phagocytes which counteract illness and infection. Horseradish possesses antibiotic properties which have been used from many years for treatment of sinusitis, bronchitis, common cold and cough. 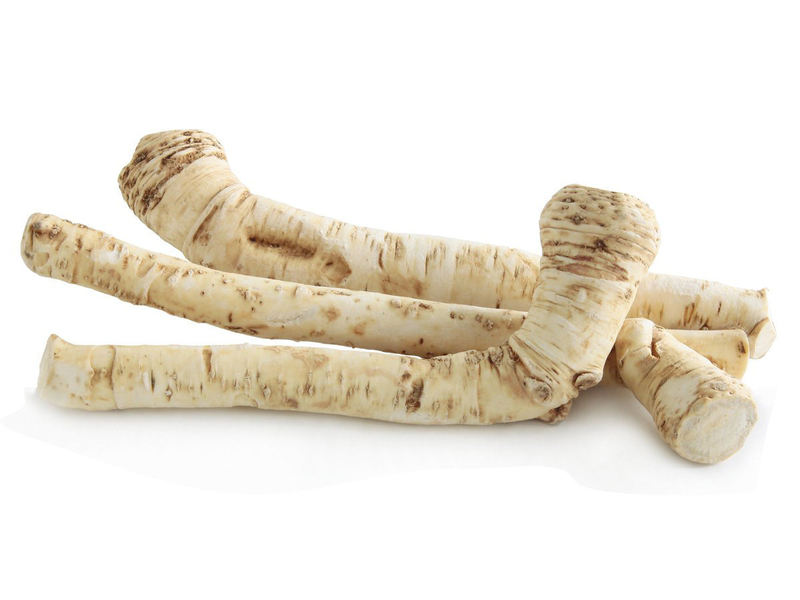 The German study shows that horseradish root treats bronchitis and acute sinusitis. Antibiotic treatments cause various side effects so the use for antibiotics is decreasing and natural cures are being researched because antibiotics treat respiratory illness by suppressing symptoms of illness. The pungent smell assists in expelling mucus from upper respiratory system that helps to prevent the chances of infection. Antibiotic properties found in Horseradish root successfully treat acute urinary tract infections which are better in comparison to antibiotic treatments that provide various side effects. 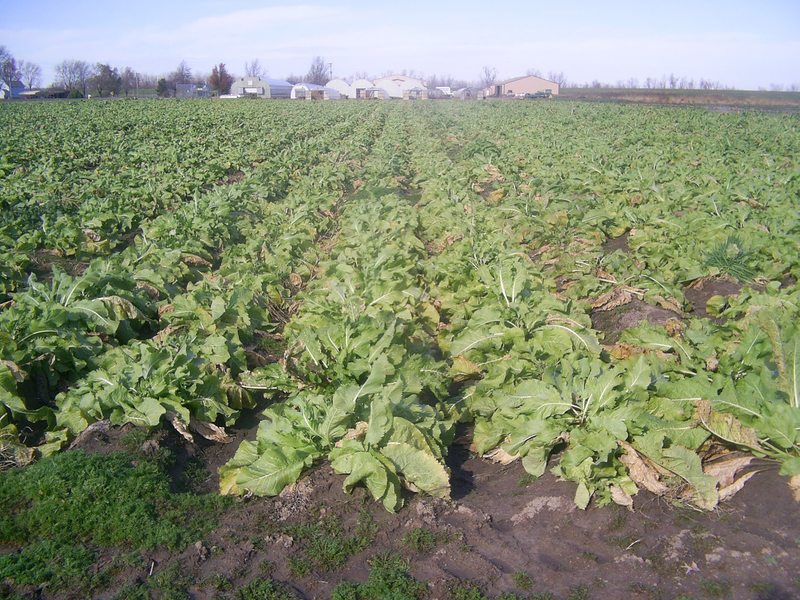 Horseradish contains glycoside sinigrin that prevents retention of water. Being diuretic it assist in prevention of urinary and kidney infections. Allyl isothiocyanate is expelled by urine which is proven to possess anti-bladder cancer abilities that might be a reason for positive effects on a urinary tract. An enzymes found in Horseradish stimulate digestion, lower constipation and regulate bowel movements. Bile assists body from excess fats, cholesterol and wastes by supporting digestive systems. It acts as cholagogue which is a substance that stimulates bile creation in gallbladder. It supports digestion. It contains small content of fiber that is essential for proper digestion. In Ancient Greece, people use Horseradish to cure back pain and in American South it is used to treat headaches. 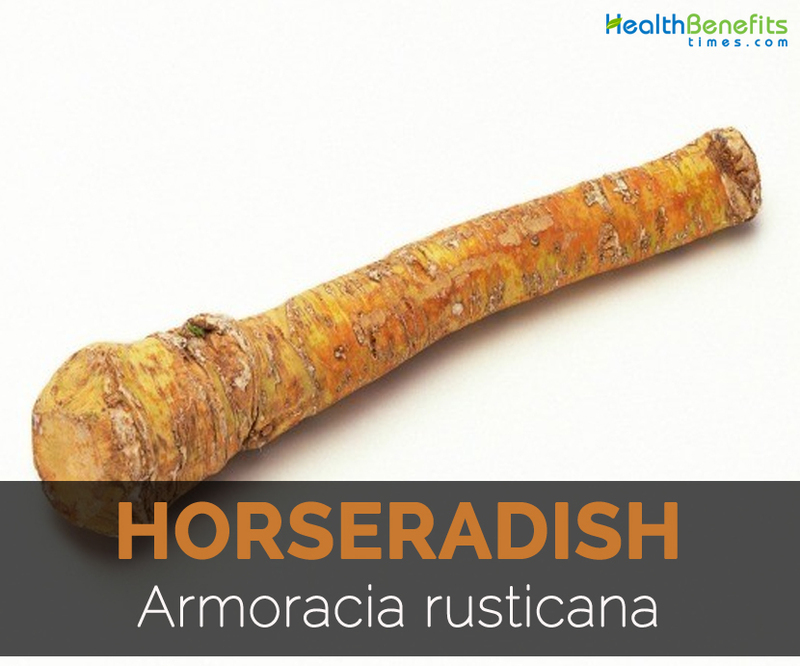 It is due to anti-inflammatory properties present in horseradish. It provides relief from pain with stimulation of blood flow to skin. It could be applied to swollen muscles and joints for relieving pain. Massage it over affected parts of the body to provide relief from symptoms of arthritis, gout and chilblains. Though more research is required to use horseradish topically for inflammation, arthritis and injury. The overproduction of ceroid or melanin in skin which leads to age spots known as birthmarks and liver spots. Horseradish is a natural cure to lighten discoloration of skin. For this combine 4 inches of grated horseradish and ¼ cup of apple cider vinegar. Place it in jar and tighten lid and let the mixture to remain for two weeks. Shake it regularly and refrigerate after straining the mixture. Then apply it on discoloration thrice daily with a cotton ball. Sinus infection is caused with an accumulation of mucus in sinuses that create a suitable environment for bacteria to thrive in which could be painful. Horseradish has a volatile compound which prevents accumulation by thinning old mucus. 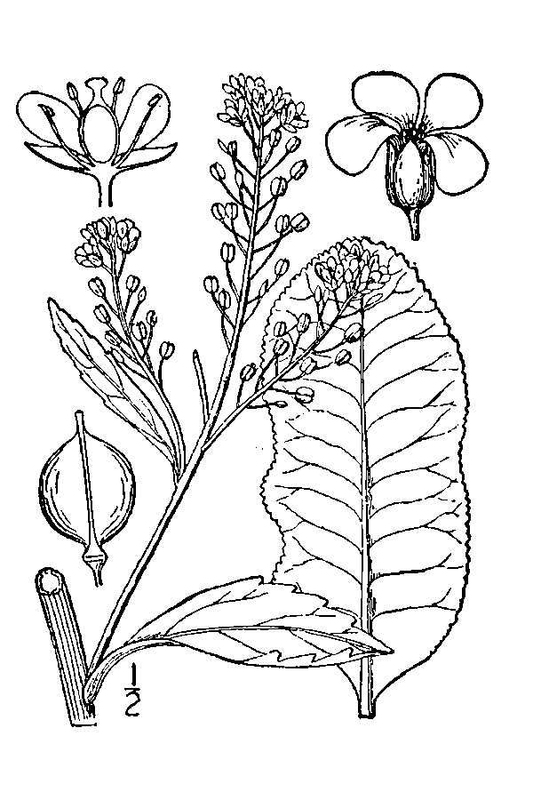 The patients who are prone to sinus and upper respiratory tract infections should consume half teaspoon of horseradish sauce in the morning and noon and stay for 10 minutes after use without drink and food. Horseradish provides relief from colds, influenza and congestion. Apply flour paste of Horseradish over chest to treat congestion. Horseradish is loaded with beneficial nutrients such as phytochemicals and essential minerals. Horseradish has compounds that act as antioxidants that assist in stimulation for white blood cell supply in the body that prevents illness. It has high content of Vitamin C that promotes immune function. A healthy immune system prevents development of illness. Antioxidants prevent cells from free radical damage and provide anti-aging effect. Use it internally and externally to treat bacterial infections. An infusion could be helpful for fevers, colds, flu and treat urinary tract and respiratory infections. For hay fever, consume a sandwich prepared of freshly grated root. Use the poultice externally prepared from root for the treatment of arthritis, pleurisy and infected wounds. It also provides relief from pain due to chilblains. It is able to narrow blood vessels that might be helpful to treat migraines. Apply it to skin to lower pain from sciatica and facial pain. Use it internally discharge afterbirth, promote urination, relieve colic and eliminate intestinal worms in children. Horseradish could be added to chicken salads and tuna. Mix horseradish with mayonnaise and use it as a sandwich spread. Horseradish could be added to currant, mint and apple jelly and serve it with lamb or other meat. Due to the presence of volatile oils, high quantities could be harmful. It is contraindicated with hepatitis, chronic nephritis, hyperacidity condition or gastro-oesophageal reflux and inflammatory bowel conditions. Lactation and pregnant women should avoid it. People with thyroid problems or stomach ulcers should not use it internally. Use it with caution because it could cause blistering. It could aggravate kidney problems, hypothyroidism and peptic ulcers. 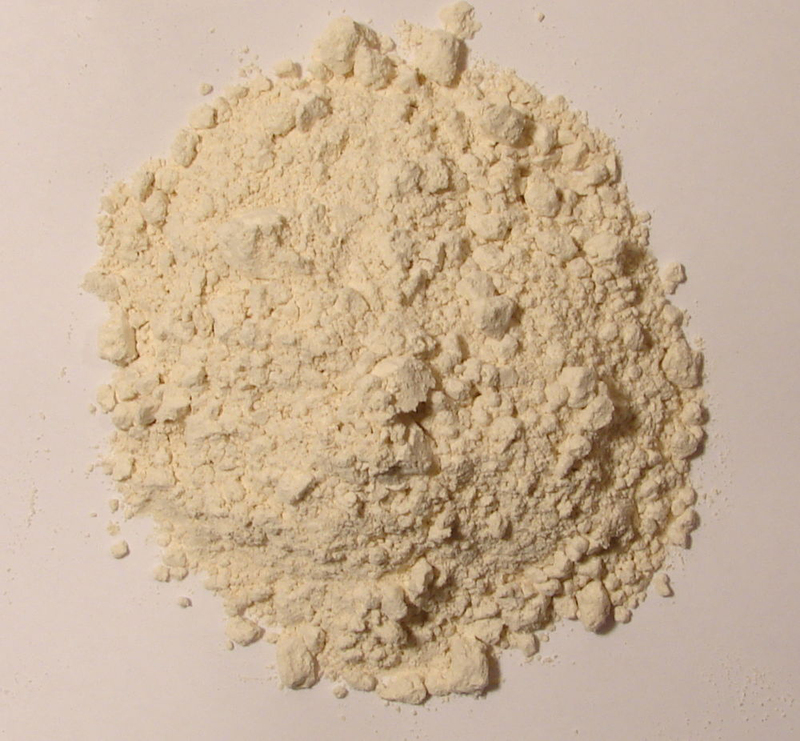 The minced, crushed or powdered Horseradish is used for producing spicy off white condiment. Roots were used as a condiment on meats in Scandinavia, Germany and Britain. Freshly grated Horseradish is consumed with boiled beef or ham in Coratia. Mix grated horseradish with vinegar, sour cream and hard boiled eggs. It is a traditional Easter dish. In southern region of Basilicata, rafanata is the main course prepared of eggs, horseradish, sausage and cheese. It is used as a vital ingredient for soups. In Germany, roots are sliced and cooked as pasnips. Sprouted seeds and greens are added to salads. Native Horseradish is originated in Southeastern Europe and Western Asia. It is cultivated widely in Europe, North America and hilly regions of India. Calories in 1 tbsp. (15 gm) 7 Kcal. Rorippa rusticana (P. Gaertn., B. Mey. & Scherb.) Gren. & Godr. Calories 7 Kcal. Calories from Fat 0.9 Kcal. Calories 28 Kcal. Calories from Fat 25.65 Kcal.